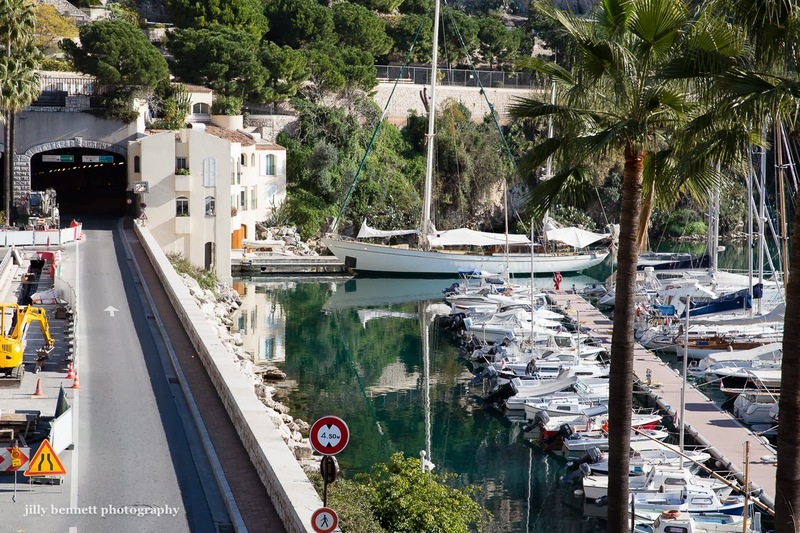 This is the edge of the port of Fontvieille and the tunnel that runs under le rocher (where you find the Palace, the Oceanographic Museum and so on). If you drive thru this tunnel you come to the main port of Monaco, Port Hercule. This photo is so typical of Monaco. Extreme beauty alongside roadworks, or massive cranes looming into the sky. I've always wondered; the house next to the tunnel; with a dock with a big beautiful sailing boat; is that a private villa?